On the 1st October 1971, Magic Kingdom, Disney’s Contemporary Resort, and Disney’s Polynesian Resort opened their doors to the public, making them the first pieces of the Walt Disney World that we all know (and love!). Happy birthday Walt Disney World – 44 today! 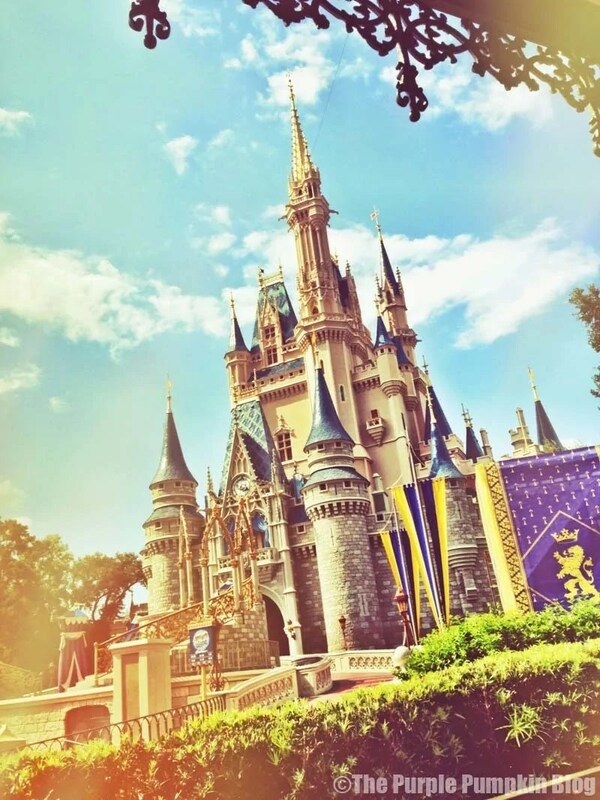 Here are 44 facts about Walt Disney World + Magic Kingdom – The Most Magical Place on Earth! On opening day, October 1st, 1971, a ticket cost $3.50. It opened with twenty-three attractions, three unique to the park and twenty replicas of attractions at Disneyland, split into six themed lands, five copies of those at Disneyland (Main Street, U.S.A., Adventureland, Frontierland, Fantasyland, and Tomorrowland) and the Magic Kingdom exclusive of Liberty Square. Since opening day, Magic Kingdom has been closed temporarily because of five hurricanes: Floyd, Frances, Charley, Jeanne, and Wilma. Magic Kingdom covers 108 acres. The parking lot is even bigger, at 125 acres, and can hold over 12000 vehicles! You could fit all of DisneyLand into the Magic Kingdom Parking Lot and still have room to park 500 cars! There is a hidden underground tunnels called utilidors, which is where Cast Members can walk from one land to another without being seen as out of place. The system isn’t actually underground though – because of the high water table in Florida, they were built on the level, with Magic Kingdom being built on top. This gives the park an elevation of 107 feet/33 metres. 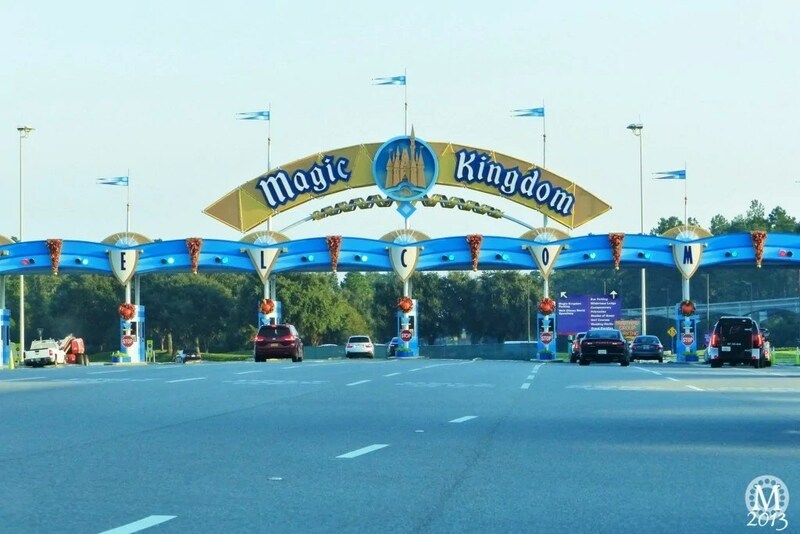 Magic Kingdom is located over a mile from the parking lot. To reach the front gates, you have to travel across Seven Seas Lagoon, either by ferryboat or monorail. Seven Seas Lagoon is man made. The soil that was excavated was used to build up the park over the utilidors. Cinderella Castle stands 189 feet/55 metres tall, and benefits from a technique called forced perspective which makes it look bigger than it actually is. By keeping the height of the castle’s spire under 200 feet (61 m) tall, Disney was able to avoid Federal Aviation Administration (FAA) regulations that would require flashing aircraft warning lights at the top. The moat which surrounds Cinderella castle contains approximately 3. 37 million gallons of water. The mosaic murals in Cinderella’s Castle were designed by Dorothea Redmond. There are 500000 tiles in 500 different colours, including some made of 14 karat gold. There are no bathrooms located in the Magic Kingdom’s Liberty Square, in keeping with the time period of that area. The 48 square miles of Florida swampland now home to Walt Disney World was originally purchased by Walt for $5 million dollars. Since 1971, the Walt Disney World monorail trains have logged enough miles to make 30 round trips to the moon. A military veteran takes part in a flag-lowering ceremony every day at 5 p.m. on Main Street, U.S.A. in Walt Disney World’s Magic Kingdom. It took less than 30 minutes to evacuate thousands of guests from the theme parks on Sept. 11, 2001. After the Sept. 11 attacks, the Federal Aviation Administration put a flight restriction over the Disney World resort. It extends out in a three-mile radius from Cinderella’s Castle and up to 3,000 feet. Walt Disney World decorates more than 1,500 Christmas trees at holiday time. 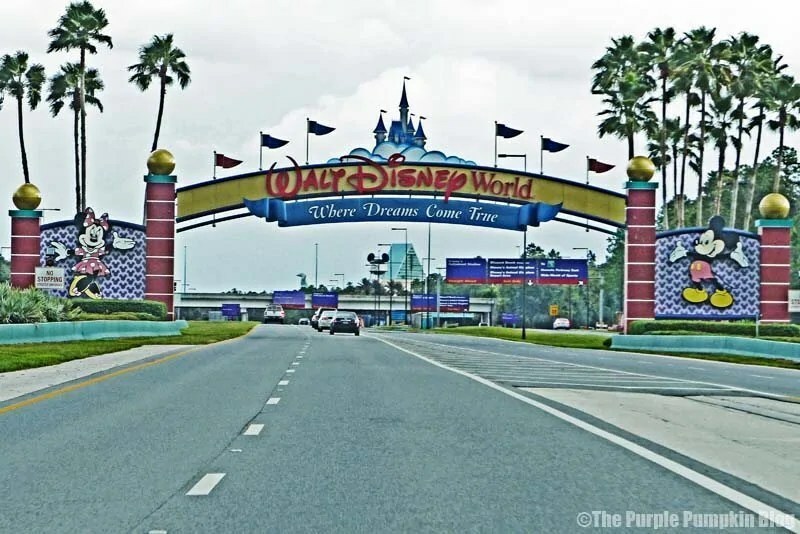 Walt Disney World employs more than 62,000 as part of its “cast,” making Walt Disney World the largest single-site employer in the United States. If you were to stay in a different room every night at the Disney World resorts, to sleep in them all would take you 68 years. The Main Street pavement in the Magic Kingdom is painted red because Walt wanted to roll out the red carpet for all his guests. You cannot buy chewing gum at any of the Disney parks. 965,000 gallons flow through Splash Mountain. Big Thunder Mountain Railroad is track is 2,780 feet long with 3 drops. The snake in Fantasmic is 120 feet long, 16 feet tall, and consists of 18 sections. You can’t buy balloons at Animal Kingdom because of safety for the animals. Similarly, there are no plastic cup lids or straws either. Walt Disney World employs around 60,000 people – making it one of the largest employers in the USA. The parking lot at Magic Kingdom is so big, you could fit all of Disneyland California in it, and still have room for 500 cars! Test Track is the fastest ride at Walt Disney World with a top speed of 65 MPH. It is also the longest at 5,246 feet which only 34 feet short of a mile. Kilimanjaro Safaris covers 110 acres, and a safari is around 18 minutes long. Rock ‘n’ Roller Coaster uses a rocket start (picture a drag race). 0 to 60 is 3 seconds and you will experience 4.5 G forces, more than astronauts do on a space shuttle launch! it’s a small world features more than 300 audio-animatronic dolls and plays the eponymous song that, fittingly, is said to be the most frequently played and translated piece of music in the world. To celebrate Walt Disney World’s 25th anniversary in 1996, Cinderella Castle was transformed into a giant birthday cake with pink and red icing, huge candy canes and candles. Both the Carousel of Progress and It’s A Small World made their debut at the 1964-65 New York World’s Fair. The 60-foot-tall Swiss Family Treehouse in Adventureland weighs approximately 200 tons and is made of concrete and thousands of polyethylene leaves. Pirates of the Caribbean inspired the Johnny Depp movies of the same name, which further inspired the Disney imagineers to renovate and add several characters from the movies, such as Jack Sparrow and Hector Barbossa, to the attraction. The Liberty Tree is well over 100 years old. The 13 lanterns hanging in the tree represent the original 13 colonies. Despite it feeling like a complete park, Epcot has space for eight more pavilions. Using the Epcot’s ride/pavilion The Land, Disney grows over 30 tons of fruits and vegetables every year for consumption in their own restaurants. Magic Kingdom is still home to fourteen of the original attractions that were there on opening day including Dumbo the Flying Elephant, Mad Tea Party, and It’s a Small World. 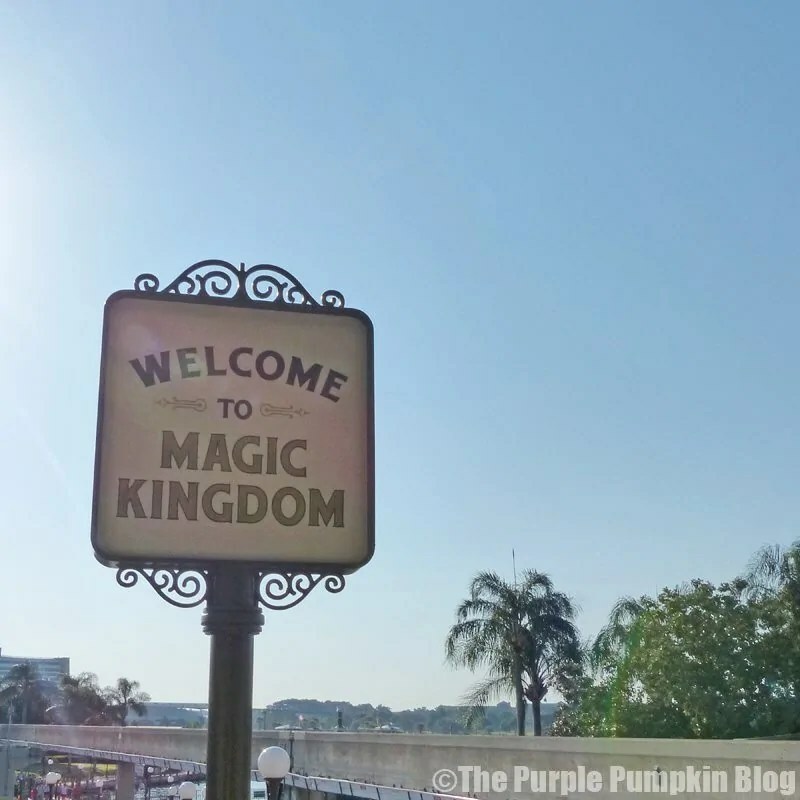 Thanks for reading Day 79 of 100 Days of Disney 2015! 21 to go! Come back tomorrow for another Disney post!